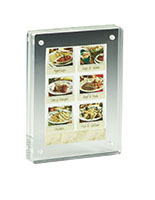 This Picture Frame is Perfect as a Tabletop Display for Photographs, Signs, Menus, and More! 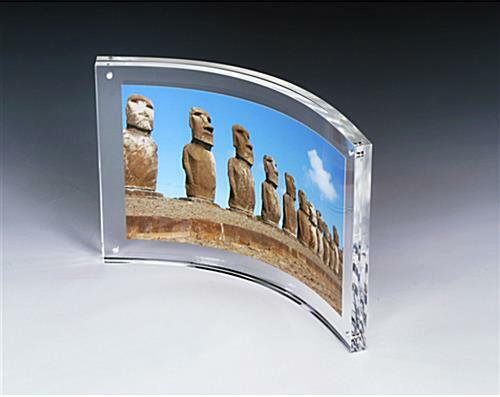 This Picture Frame Features a Curved Design and Utilizes Magnets for an Easy Display! 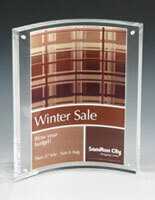 Cheap Photo Frames are our Business, Shop with Confidence! 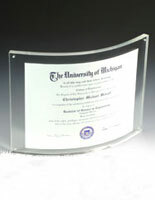 Each panel in this picture frame is a professionally heat formed, 1/4" thick clear acrylic sheet with polished edges. 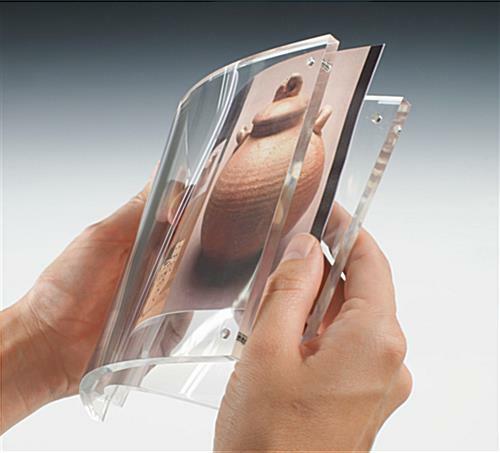 This picture frame, also recognized as a photo frame or sign holder, can display images on both sides at once. Add impact to campaigns or show off pictures in your home. 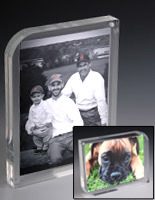 Buy this picture frame now and take advantage of our competitive pricing! 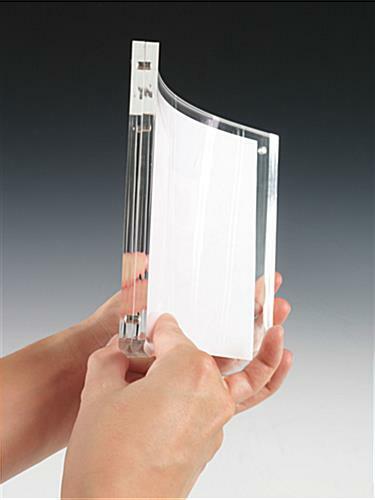 This picture frame is an elegant curved version of our straight photo frames. 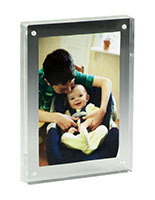 This photo frame, picture frame is an affordable way to showcase photos and pictures. 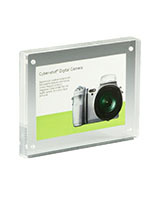 Durable magnets sandwich the panels together for an uncomplicated and useful display. 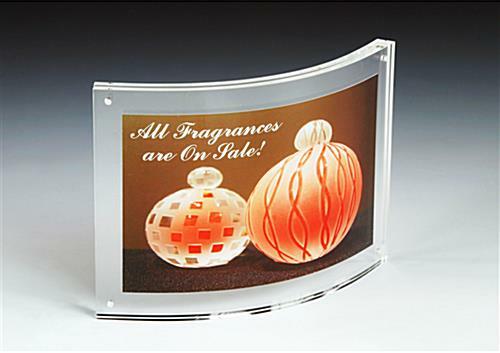 This sign holder is the ideal picture frame for home use or on any point-of-purchase counter.